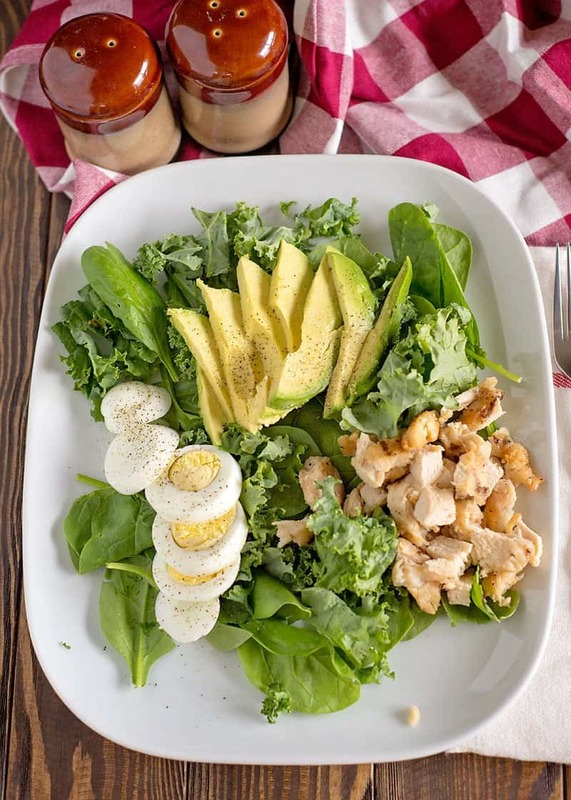 Low on time, but want to eat healthier? 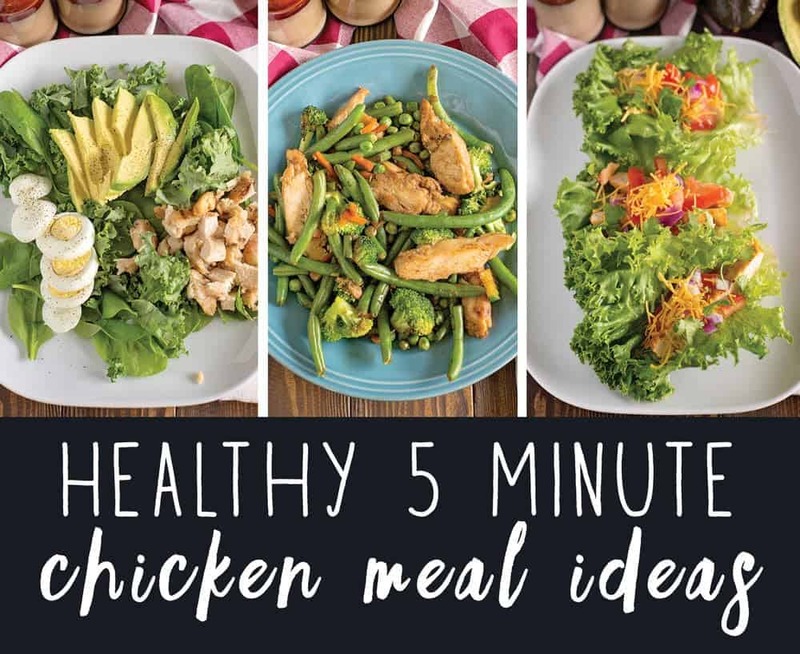 Here are three quick and easy meal ideas using frozen chicken and veggies from Personal Trainer Food (plus a few other fresh ingredients) that will help you create a delicious lunch or dinner in five minutes flat! This post is sponsored by Personal Trainer Food, but all opinions are my own. I’ve been struggling to keep up with my healthy eating plan lately. Some of the struggle is due to willpower, which is all on me. But hey, it can be hard to be around treats and not indulge! Other reasons include lack of planning, limited variety and often, I wait too long to eat, and then I am starving and will just eat whatever is in the fridge – low carb/ sugar-free or not! Personal Trainer Food is a meal plan subscription service that makes it so easy to stay on track. They deliver delicious pre-cooked and flash frozen meals right to your door. All you do is heat and eat! Personal Trainer Food offers proven meal plans for weight loss that are loaded with great tasting food. You simply order online, choosing the best meals for your lifestyle and everything is delivered straight to your door. It’s a simple way to eat clean and maybe even lose a bit of weight! 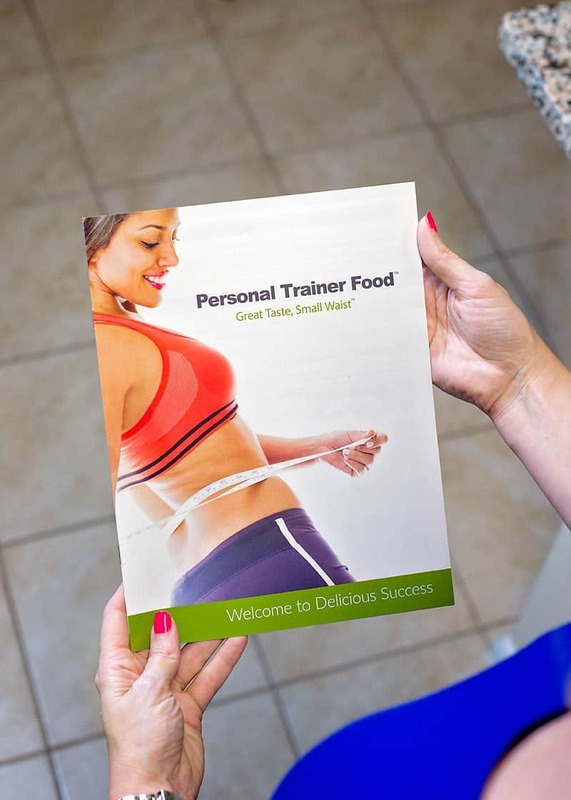 We’ve all heard that weight loss is 90% what you eat and the convenience of the Personal Trainer Food Meal Delivery Plan make is so much easier to be successful in your healthy eating goals. Your meals will be high in protein, contain good carbs and healthy fats with no heavily-processed foods. 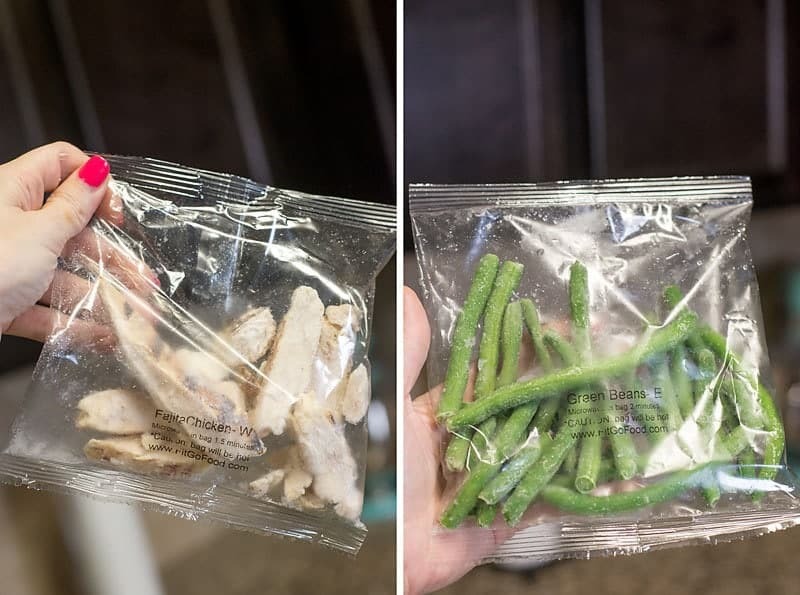 You’ll always have a delicious meal in the freezer that can be ready to eat in about 3 minutes. My first order was the 14-day meal plan, where you can choose any combination of 70 delicious, healthy, fat-burning items from the menu. I tried a little bit of everything and was very pleased with the food. I definitely have a few favorites – like the Dill Bites, Teriyaki Chicken, Meatballs and the Maple Sausage – yum! 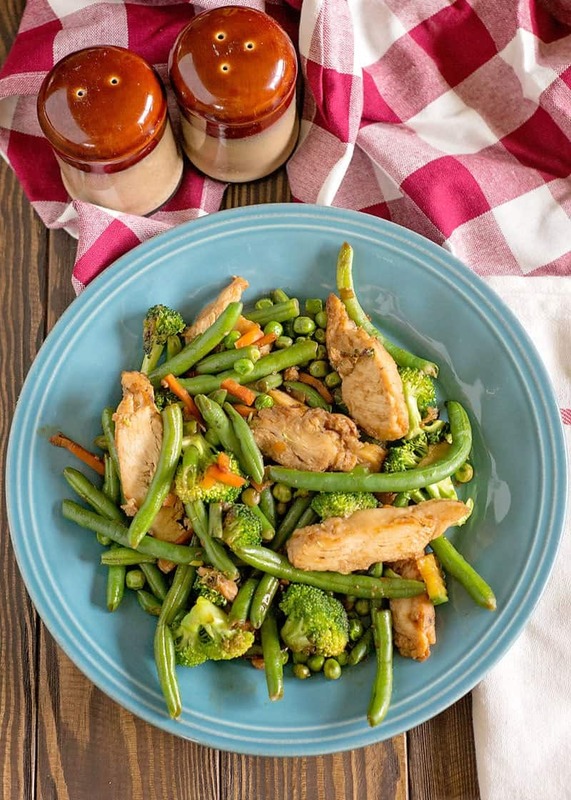 When I was ordering, I also included several different cuts of chicken as I knew the pre-portioned chicken would be easy to use in some of my favorite quick meals, which I am sharing with you today! Mix the Soy sauce, vinegar, ginger and sriracha together in a small bowl and set aside. Coat a frying pan with sesame oil and toss the rest of the ingredients into the pan, stirring around about 4 minutes or so or until everything is heated up. Add sauce mixture to the pan and stir till all ingredients are coated. Enjoy! Toss all the ingredients into a bowl or plate. Smoosh the avocado and egg together and coat all of the greens. It’s delicious, I promise!! 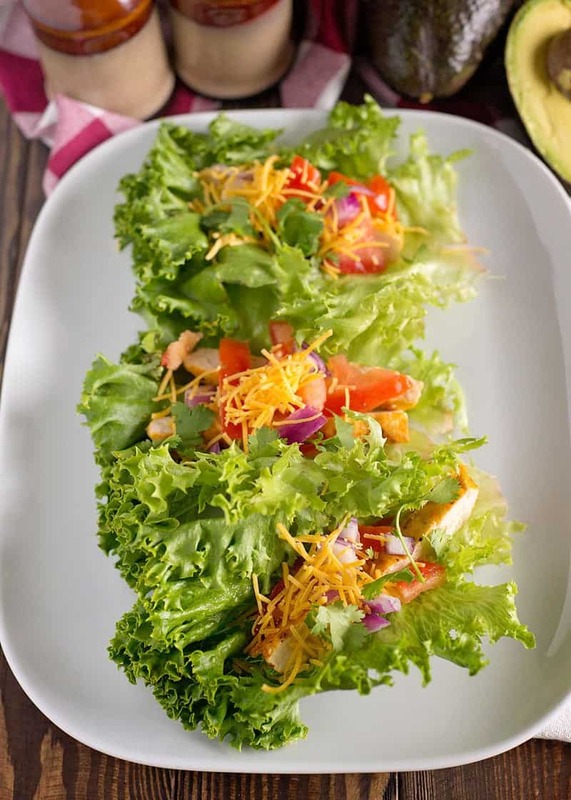 Place the chicken inside the lettuce leaves, top with your toppings and enjoy! I’ve actually tried personal trainer food and my whole family really enjoyed the meals! 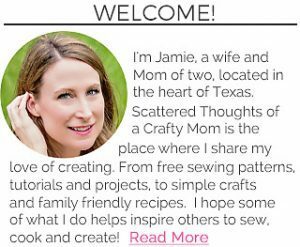 Love your ideas too! Might have to order some more! These easy meal look tasty and easy to make! Perfect for busy nights. Now this is exactly what I want in my life right now. All 3 meals looks absolutely delicious, I can’t pick one as a favorite. Simple, delicious!